Chelsea are aiming to tighten their hold on a place in the top four as they visit fifth-placed Arsenal, who lie six points behind them. 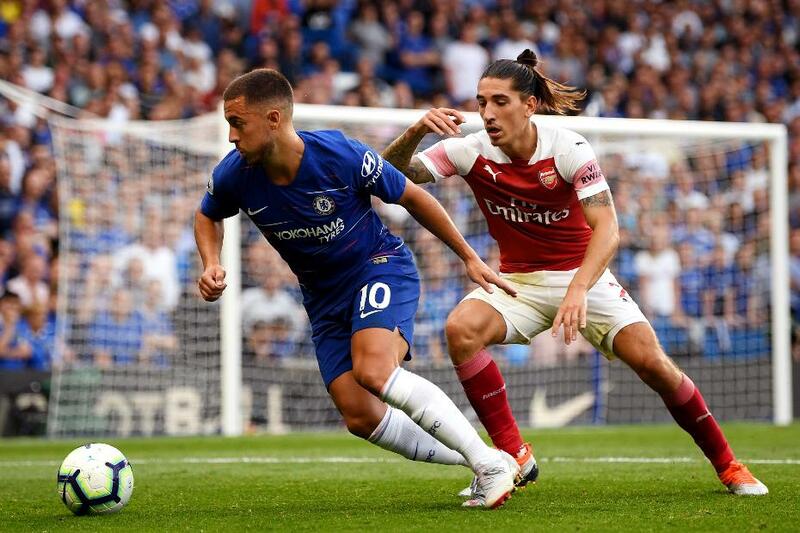 Maurizio Sarri's Blues are targeting a fourth victory in five Premier League matches, while Unai Emery's Gunners are looking to bounce back from a defeat at West Ham United. Arsenal will be without Henrikh Mkhitaryan (foot), Rob Holding (knee) and Danny Welbeck (ankle). Chelsea's Ruben Loftus-Cheek (back) is Sarri's only player unavailable for the London derby, as Alvaro Morata (thigh) has resumed training and is in contention. Arsenal have scored 20 goals in their seven PL London derbies this season, twice as many as any other side. Pierre-Emerick Aubameyang and Eden Hazard are the two players whose goals have been worth the most PL points for their sides this season, with 12 and 10 respectively. Chelsea are aiming to become the third team to do the PL double over Arsenal for a fifth time, matching Liverpool and Manchester United's totals. Olivier Giroud could become the second player to score for both clubs in PL meetings between Arsenal and Chelsea, after Cesc Fabregas.